The INFOGRAPHIC below is a simple guide that tell you things to consider when picking an Obd2 tool. The first thing you need to do is narrow down what type of scanner you need. Basically, there are three different categories of Car Diagnostic Tool. There are basic code readers, DIY scanners, and professional equipment. Basic code readers are the least expensive scanners. They’re the ones you can find at any auto parts store. You plug them into the diagnostic port of your car and they read any Diagnostic Trouble Codes (DTC) that come up. Most of these basic code readers just tell you the Auto code reader, but not what it means. The easiest way to figure out what the code actually means is to just look it up online. It’s a sinking feeling that many drivers have experienced at one time or another — turning the key in the ignition and the car won’t start. Whether you left the lights on or it’s simply that the battery is old, even the most reliable car won’t start if the battery has been drained. With a little planning, though, you can be prepared if you ever need to give your battery a charge. 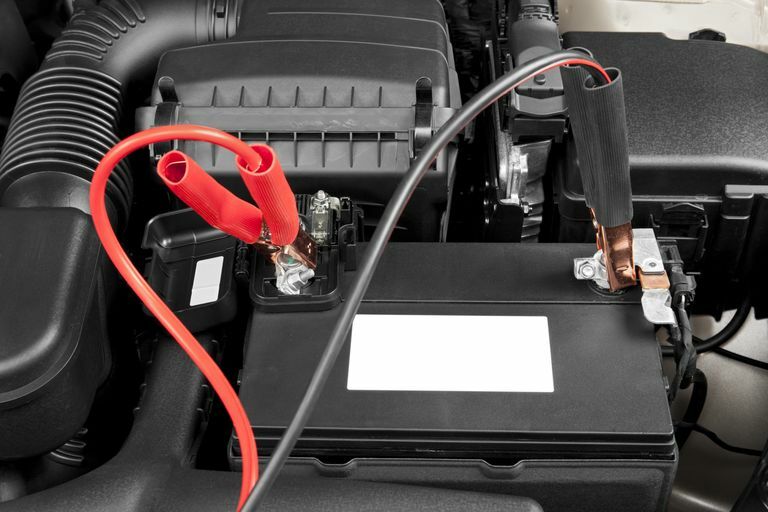 From having jumper cables in your car to calling for assistance, follow these tips for jump starting a car. * Park the two cars close together but make sure they don’t touch. Then, turn both cars off. * Put on eye protection in case of sparks, says Meineke. * Connect the positive jumper cable (usually red) to the positive terminal on the “dead” battery. (Typically, the positive battery terminal is marked with a plus sign, while the negative is marked with a minus.) Now that the cable is attached to the battery, Meineke states that you should not touch the metal clamps to any metal other than as described below. Doing so could cause an electric shock. * Connect the other end of the positive cable to the positive battery terminal on the vehicle providing the jump. * Connect the negative cable (usually black) to the negative terminal on the vehicle providing the jump. * Check that the cables are not near any moving engine parts. * Start the “booster” vehicle, and let the engine idle for a few minutes. If the battery is a few years old or has been dead for a few weeks, you may consider revving the engine slightly on the booster car to speed up the charging process, says Edmunds. * Start the disabled vehicle. * If the car with the dead battery starts, let it run for at least 20 minutes, Consumer Reports suggests. If it doesn’t start, you may need to check the cable connections, according to Consumer Reports. If that doesn’t work, you may need a mechanic’s help. * Keeping the jumper cable away from any metal, begin removing them in reverse order (to help prevent sparking). First, remove the black (negative) cable from the ground on the previously disabled vehicle (keep the vehicle running). * Remove the other end of the negative cable from the battery of the vehicle providing the jump. * Remove the positive cable from the battery of the vehicle providing the jump. * Remove the positive cable from the previously disabled vehicle. If you are not comfortable performing any of these steps, call a OBD2 key programmer for assistance. Edmunds recommends driving the jump-started car for at least 20 minutes to allow enough time for the battery to charge. Keep in mind that if the battery or alternator are not in good shape, you may need another jump start. Be sure to stop the vehicle somewhere safe, where you have assistance nearby should the vehicle not start again. Many auto insurers now offer roadside assistance plans for their customers, which often provide help with common situations, such as breakdowns, flat tires and dead batteries. It can be a relief to know professional help is just a call away (or click, as some providers offer apps as well) if your car won’t start. If you don’t have this service, you may want to consider adding it to your auto insurance coverage or purchasing a roadside assistance service plan. After your car is running again, remember that a jump is meant to restart the disabled vehicle, not to recharge the battery. It may be a good idea to put the jumped battery on a battery charger, which you can buy at an automotive store, as soon as possible to help ensure that it’s charged to full capacity. If you’re unsure about the long-term health of your battery, consult a mechanic or a Car Diagnostic Tool at an automotive store for advice. As you go through this you will find that there are any number of terms and abbreviations and the like that might not be clear. Let’s see if we can demystify some of these. For starters, Obd ii scan tool for On Board Diagnostics. And when you get into the problem codes you will see many places list DTC. This simply means Diagnostic Trouble Codes. These obd2 code reader can be broken out to generic and enhanced. Generic codes will mean the same things regardless of the make and model of car in question. These codes generally begin with P0 or P2 and then are followed by a 3 digit number. These faults tend to be ones that could indicate air pollution problems. Enhanced DTCs normally begin with P1, these codes are specific to the make and model as well as sometimes the year and at times even engine size of a car. These codes are ones that you need to make sure you have looked up properly. Some codes are listed as pending. This simply means that a piece of data that would flag the code was observed, but the system is not going to completely flag it if it doesn’t happen a certain number of times in a given period. More simply, there was something that went wrong, but it is something that isn’t a problem if it doesn’t happen frequently. You may also see the MIL status listed. The MIL is the malfunction indicator light. This is generally the check engine light (or the service engine soon light). The status lets you know if there was a problem that has caused the light to need to come on or not. At times you will have a fault that can cause a code, even a code that is not pending, but it is not a big enough issue to turn on the light. The components of the tool are simple, there is the device itself and the software that it runs and both of these must work together to do their job. A device that was built several years ago might still work fine, but if you have never updated the software that it is running, you aren’t going to have the newest codes and settings. While this may not be a problem if your car is not quite as new as your tool, but once you try working on a car that is newer you may have issues. For the most part, the generic codes don’t change overly much, but some manufacturer specifics may have. You don’t want to launch into a repair on the wrong part because of outdated codes. The software also plays a huge role when you are working with a wireless option. With these, you will need the software application loaded on your phone or tablet. For the most part, these can update fairly frequently, but if you don’t have it or can’t run the app, your hardware is as good as a paperweight. These devices don’t need a lot of high-tech tools to tell you what is going on with your car. While each different device will have a slightly different procedure, a basic process for using them can be found here. To get any data you are going to need to plug your device into your car’s OBD port. This is normally found somewhere on the driver’s side, in the region under the steering wheel. Your car’s manual should point you to the right location and short of that a quick google search or some old-fashioned poking around should quickly reveal the location. If you have a wireless model you’ll need to find your attached device. For most, you will need to turn the key to the on position (many will ask you not to fully start the car, though). Your device will read the data it is receiving in order to come up with the problem code. Depending on your particular set up it may start going through this process once the key is turned or you may need to command it to run a diagnostic. Either way, once the scanner has found the issue it will display a code or a number of codes. Having the code is great, but unless you’ve memorized all the problem codes it is only the first step. You will need to understand what that string of letters and numbers is telling you is wrong and probably what needs to be done to fix it. If you have some styles this will meaning going through a book or CD of codes to come up with what it means or a quick online search. The more high-end models will provide an onscreen display to explain the issue. If your model has a built-in guide, it may even tell you a few things you can do to fix the problem. Now that you are sure you know what the code says and have an idea of what caused it, you will need to make an action. This could be anything from merely clearing the code to doing some work on the car or just taking Truck Diagnostic Tool into the mechanics to fix the problem. Sometimes codes will trip because something gave the car a false signal, this would be a case to clear it and go on. If there truly is a problem the light will come back on. Otherwise, either you or your mechanic will do some work prior to resetting the code. When Ericsson first began development of the protocol that would eventually become what we now know as Bluetooth, the telecom giant was operating from a position of power, controlling about 40 percent of the nascent mobile market in the entire world (PDF). Bluetooth was seen as a wireless replacement for the RS-232 serial communications protocol of the day, which would make it an ideal way to connect small devices, such as phones, with computers and peripherals alike. While that vision turned out to be prophetic, a side effect that nobody ever saw coming was that Bluetooth would also come to form the beating heart of the connected car, which is where we find ourselves today. Virtually every phone sold today comes with a built-in Bluetooth radio, and an ever-increasing percentage of OEM telematics and infotainment systems, aftermarket head units, and add-on devices also make use of the protocol, leaving us with a vast array of different ways to make use of Car Diagnostic Tool on the road. For better or worse, Bluetooth is here to stay, so here are five of the best ways you can use Bluetooth in your car. This is the functionality everyone knows about, and until recently, it was really the only way to use Bluetooth in your car, so it’s entirely forgivable if it’s also the only use that really springs to mind. This is also the functionality that you’re most likely to run into in OEM head units and aftermarket stereos alike, and you can even add it to an older vehicle with a Bluetooth car kit. The profile responsible for this functionality is, appropriately enough, referred to as HFP, or hands-free profile. Depending on the head unit and phone in question, you may be able to place and receive calls, dial via your head unit or voice commands, and even access—and edit—your address book via your head unit’s touchscreen interface. SMS is a dinosaur, developed all the way back in 1984, and shackled to a 160 character limit that was, believe it or not, rationalized due to the fact that most postcards and telex messages examined at the time clocked in at roughly 150 characters. If you aren’t sure exactly what telex is, or was, don’t worry too much about it. Just be glad that SMS (and, by proxy, twitter) message sizes weren’t based on the inherent limitations of carrier pigeons. At any rate, and whether we like it or not, SMS is still a dominant way to see yourself misconstrued in 160 characters or less, and most people have probably, at some point, received a text message while driving. It’s actually pretty dangerous to read, led alone respond to, text messages on the road though, which is where the relatively new Message Access Profile (MAP) Bluetooth functionality comes in. Infotainment systems and head units with this functionality can pull in text messages from your phone and transmit messages back. When paired with text-to-speech functionality, and either speech-to-text or a variety of pre-programmed canned replies, availing yourself of this type of feature is streets ahead in terms of safety. This is where things start to get fun. If your head unit and phone both support the Advanced Audio Distribution Profile (A2DP), then you can wirelessly stream stereo audio data to your head unit. This is a great way to listen to any MP3s you have on your phone, but if your phone has an Internet connection, you can also use it to stream Internet radio and music-on-demand services like Spotify and Pandora. If your phone and head unit also support the audio/video remote control profile (AVRCP), you can take it a step further and actually control playback from your head unit. This profile also allows some head units to display metadata, like artist names, song titles, and even album artwork. Internet radio is great when you’re home or at the office, but what are you supposed to do on the road? Some OEM infotainment systems and aftermarket head units come with built-in apps for playing services like Pandora and Spotify, but, first, you need an Internet connection—and that’s where Bluetooth comes in. 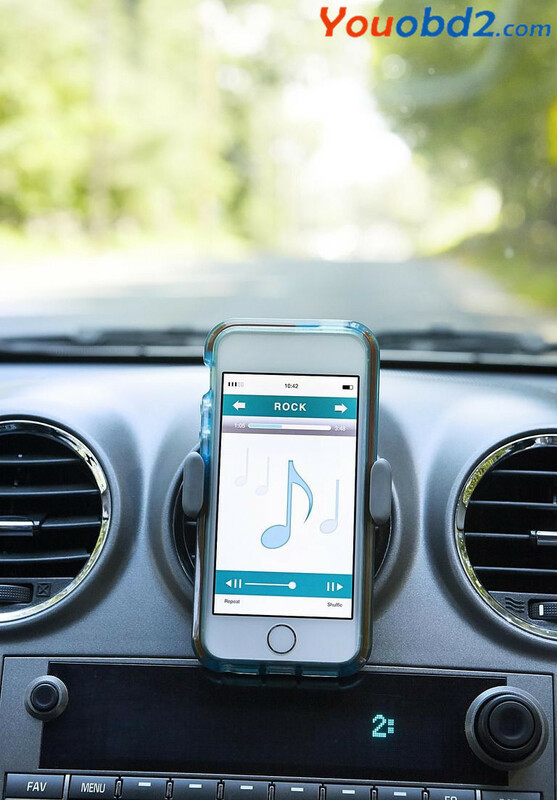 If your phone, and mobile provider, support Bluetooth tethering, you can actually pipe your phone’s Internet connection directly to your head unit, opening up a whole world of Internet radio, cloud-based music storage, and other entertainment options. Data charges can be? a killer though, and not all providers are cool with this kind of tethering, so you may want to look into a mobile hotspot instead. Caveat emptor and all that. No kidding. If you have an Android smartphone, you can actually pull codes, check PIDs, and possibly even diagnose your own check engine light—all via an OBD-II Bluetooth adapter. The key to these handy little scan tool is the ingenious ELM327 microcontroller developed by ELM Electronics at Youobd2.com. All you have to do is grab some free (or paid) scanner software from the App Store or Google Play, plug one of these scan tools into your car’s OBD-II connector, pair it to your phone, and you’re off to the races. An Obd2 tool is the second version of the On-Board Diagnostics tool, which monitors engine functions. If a vehicle’s engine experiences a malfunction, the “Check Engine” light comes on. An OBD-II scanner can access the resulting trouble codes within the vehicle’s diagnostic computer, or power train control module. This computerized hand held device can only interact with vehicles manufactured in 1996 and later. Earlier vehicles use older diagnostic systems which vary depending on the vehicle manufacturer. Using an OBD-II scanner is relatively easy, and accessing trouble codes only takes a few minutes. Professional diagnostic technicians also have a wealth of personal experience to draw on, and no affordable car diagnostic tool is going to provide either that or the diagnostic procedures you’d get from a tool like a MODIS or software like Alldata. Of course, that doesn’t mean you’re out of luck. Like it’s done in so many other areas, the Internet has proven to be a leveler in the field of automotive diagnostics. There are a variety of free (and paid) services available that you can use in conjunction with an affordable scan tool, like an ELM Family Tools, to diagnose your check engine light. The key thing to remember is that if you’re experiencing a problem with your car, somebody else has probably experienced it before, and he’s probably posted about it to the Internet. Our own auto repair site contains a wealth of troubleshooting information for DIYers, including solutions to many sticky diagnostic situations, so you might start there, after you’ve picked up the Car Diagnostic Tools you can afford. It can also show and reset a DTC fault code like a scantool. Now with Mode 06 – ECU self-monitoring test results. It helps you fix your car and helps keep repair costs down! Works on any vehicle that uses the OBD 2 standard (most vehicles built after 2000, but can work for vehicles as far back as 1996). The app needs a Bluetooth or Wi-Fi OBD2 ELM327 compatible adapter to work. The adapter is small and plugs into the diagnostics socket on the car which gives your phone access. If you buy one of the cheap chineese OBD2 ELM327 Bluetooth or WiFi adapters from ebay / amazon, then make sure it’s not marked as v.2.1. This adapters are supported, but they have lot’s of bugs. 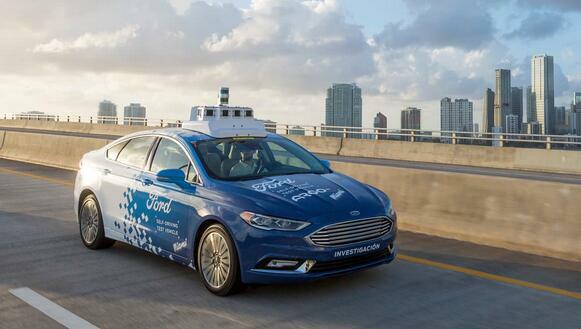 PLEASE NOTE: Vehicle ECUs vary in the amount of sensors supported. This app can’t show you something, that is not provided by your car. In the past, it was impossible for anyone to diagnose their own vehicle without going to a car service station or their car dealer. However, as technology continued to develop in the past few years, it is now possible for people to check up their own cars. One of the scanning tools that had been formulated in the automobile industry is the obd2 scanner. Having car service stations can be costly and using a scanning tool might save you money in the process. However, that’s not the only benefit that a car scanning tool can give you. Listed below are the top 4 benefits that you can get from the best OBD2 scanner. One of the main reasons why OBD2 scanners sell well in the market is because it can lessen your regular expenses. 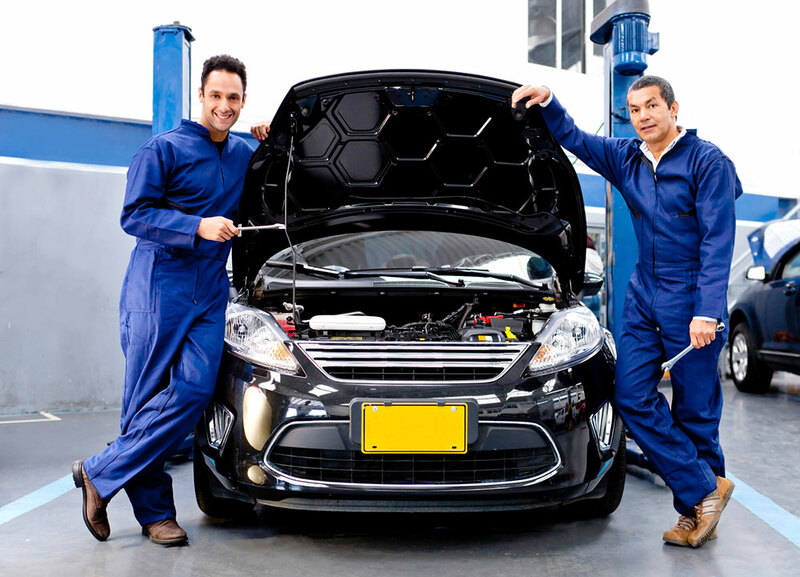 Since visiting automobile service stations can cost you a lot of money with just a single session, you can already imagine how much money you would have to spend for your regular car maintenance. With the OBD2 scanner, it is possible for owners to check up and diagnose their cars on their own. This means that you wouldn’t need to spend too much money for your automobile’s regular check-up. Auto Scanner Tools are ideal for all types of people as it comes with easy, simple controls. Using one does not need you to be smart. The instructions on how to use these scanning tools are provided in their manuals, and you don’t need too many technical skills to understand it. It is entirely possible for new owners to use it. You only need to read through the instruction booklet at least once, and you will be ready to use it whenever you want to. Even when people have enough money to avail of services from OBD2TOOL and the like, sometimes, it is hard to find one service station near your area. If you cannot locate an available car station near your place and you want to give your vehicle regular check-ups, it would be a good idea for you to purchase the OBD2 scanner. You would be able to use it anywhere you want. Since you can use it by yourself, you also wouldn’t need much professional help for its use. The OBD2 scanners come with its own systems and laws. These systems are standardized, so whatever brand your scanning tool is, you do not need to worry about miscalculations and the like. As long as you manage to use it appropriately and as long as you follow the required steps, you would be able to find the correct score readings for your vehicle. best obd2 scanner are a great technological invention as it managed to make vehicle diagnosis easier. With these devices, you would have an easier time in managing and maintaining your car without spending a lot of time and money. We are a person by INDIVIDUALS, i got myself a new Autel Tools crucial programmer, this SKP900 software is effective great, quick to operate and also bring up to date just about monthly, what exactly i need. In that case when i contact client program, many people said might be when i detach this bring up to date throughout changing process, in that case triggered this matter, many people advise my family for you to bring up to date for a second time. As a final point, when i make an effort to bring up to date for a second time, and no detach throughout completely process. Soon after bring up to date with success, this monitor results in being obvious seeing that ahead of, as well is effective great today. They’re very skilled home owner. The particular throttle shape seemed to be supplanted with precisely what looked like your recognized beneficial utilized 1. This kind of Car Diagnostic Tool might be apparent right after looking through complete instruction under. Other than resetting the particular nonproductive on this pickup truck, Im showing the particular skills of this small scan-tool containing assigned my home incredibly superb results a long way. The following is an entire progression in how you can program sensible keyless obtain online computer repair important pertaining to 2012 Collection Rover. Amazingly, it takes merely concerning 2 minutes to do an entire job. SKP-900 Important Programmer, I aquired them, that is somewhat inexpensive as compared with that of many other internet suppliers. Naturally, beneficial shopper comments is one more significant cause. There is absolutely no every warning that will signify that check out serps lighting turned on, how to attract a serious trouble with my personal Acura. I became scared basically persistently driven towards the close by storage area for getting restored, which might accidental injuries my personal serps. Underneath like circumstances, I thought i would lend out of Jack your agreeable Honda analysis program. 20 minutes later right after I offered the pup your phone, he / she introduced the innovative buying Honda HDS THE PUP analysis program. Very well, being a Acura proprietor, OBD2 Scanner had been almost impossible not to get heard about the particular program. At the beginning, I became concerned no matter if I could truthfully cope with the particular program or maybe certainly not seeing that Pondered by no means utilized 1 prior to. Jack claimed, checking out a vehicle trouble is not really your topic involving fixing them or maybe certainly not, ıt had been in essence access your useful program, plus Honda HDS seemed to be usually the one.